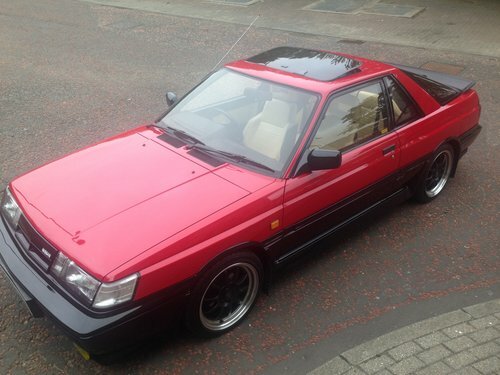 We're delighted to be able to offer this very rare and absolutely stunning Nissan Sunny ZX RZ1 coupe. confirm the cars pedigree, and substantiate the service details in the original warranty book and owner manual. 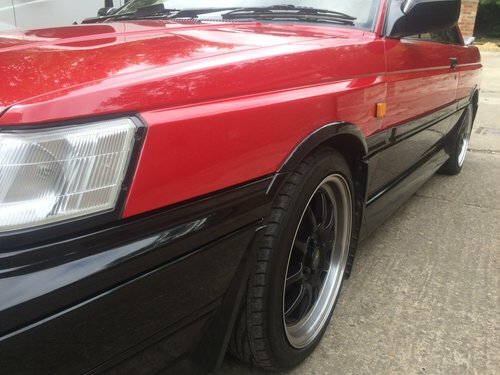 It appears that they are only five remaining examples of this eighties sporting coupe still on the road, but these were a very expensive car in their day (more expensive than a Golf GTI at the time) so did not sell in great numbers. This particular car is absolutely breathtaking from every angle, and it's often said, but it REALLY needs to be seen and driven to be appreciated. The factory, two tone coachwork gleams better than the day it left the showroom, and is, of course, completely original. 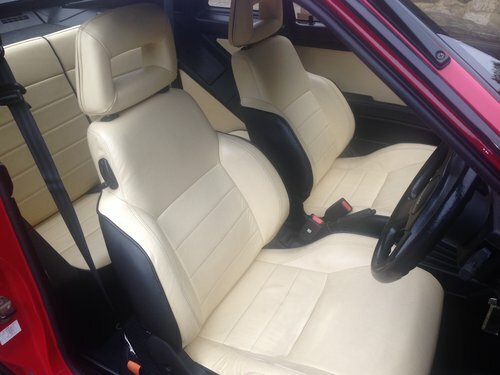 The interior has been upgraded with a beautiful full Connolly leather re-trim in beige, and again, is completely unmarked. 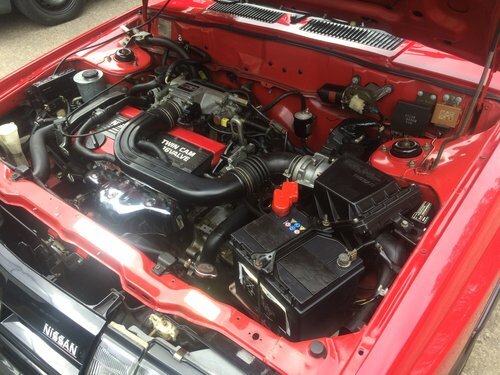 Under the bonnet, the pristine presentation continues, with the entire engine bay as it left the factory. As you'd expect, out on the road the car performs perfectly in every way, with the twin cam, injected 1600cc power plant delivering modern car reliability and performance. 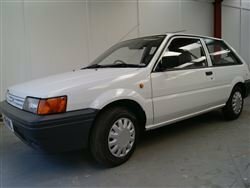 Not to be confuse with the stock Nissan Sunny, It has over 120 bhp, factory lowered RZ1 suspension, discs all round, 5 speed, etc, etc. 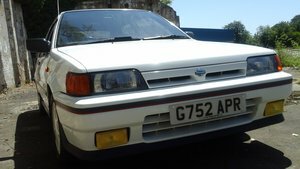 Creature comforts include power steering, central locking, electric windows, factory sunroof, and both the original stereo, and a later, more modern unit. This car has been utterly cosseted from new, and the string of trophies it has won is endless. 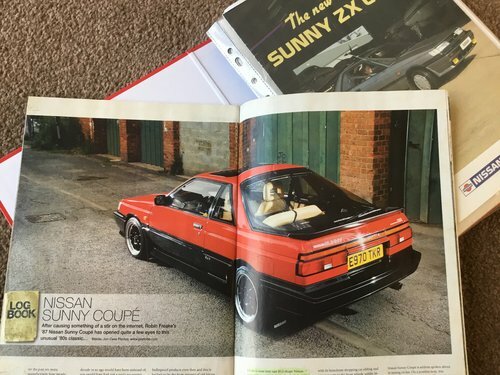 Much of the cars history and detail can be seen in the six page feature of the car in Retro Car, and a copy of this will be supplied with the car. The impressive history file also includes period literature / brochures, original handbook, original service book, old MOTs, etc, etc. 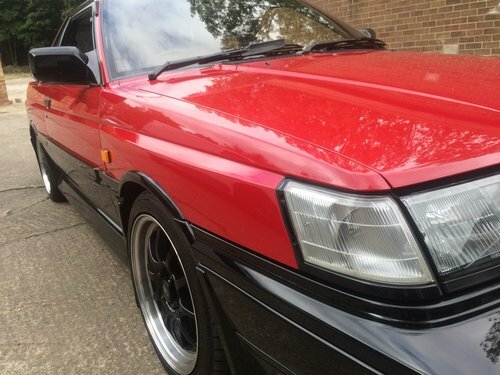 We’ve known this car for many years now, having sold it on two occaisions, and we and can vouch for the fact that it has been totally cherished by it’s loving owners. A car capable of winning rosettes and trophy’s in any classic shows it enters, and yet very practical, and surely a gilt edged investment. Please ring or drop us a note if you'd like any further details or a picture pack of the car. YOUR classic car or motorcycle always considered in part exchange.